Did you see The Greatest Showman? Did you enjoy it? The girls and I have seen it and we really enjoy it. A lot. We have watched it several times now that we own the DVD (a fantastic birthday present purchase for one of the girls). What I have noticed, though, is that the more we watch, the more questions get asked. Some of them are just curious but some are historical and wondering about the accuracy of the movie, since it is based on real people. Well, homeschooling steps in here, doesn’t it? So, I have pulled a couple of resources that we had on the shelf and/or got from the library. One thing that I have really enjoyed about The Greatest Showman is the amount of discussion it has opened up for us and the questions it brought up. From racism to class prejudices to life at that time to dreams to decisions about making a movie based on real people, we have had lots of discussions. We have all learned something. This is a simple, junior level biography on Jenny Lind. It covers her childhood through her career. It seems to be accurate and contains enough information to answer some of the questions that popup from the movie. Yes, she enjoyed imitating songbirds and their calls. Yes, Barnum did have a hand in bringing her to America and she did tour here. Yes, she was very popular in America, at least while Barnum was managing her tour. Yes, she quit the tour early but not for the reasons the movie implied. Yes, there were false stories told about her and Barnum but they were started by his rivals and those who wanted to see him fail. She married her pianist and returned to life in Europe after her time in America. She was happy, from all accounts I can find. This is a solid biography for older elementary or teens. It is well-written and includes plenty of photographs and drawings. The biography runs us from Barnum’s early life through to his death. It covers his education, his jobs, and his philanthropy. There is nothing questionable in it for me and I found it very interesting and enlightening. The bibliography and source notes in this book led me to several other places I am interested in looking. A slightly older biography of Barnum but still very interesting. It also covers the great majority of his life and the way in which his many careers led to his what he is best known for – the circus. Barnum is shown to be a great man who ends up with a lot of rough spots in his life through which he perseveres. Yes, Barnum did marry someone he knew from his youth and her name was Charity. Yes, Barnum had daughters but he had more than shown in the movie since the movie actually stopped when he was fairly young in the circus world. Yes, Barnum had a museum (actually more than one). Yes, the museum burned (more than once). The burning happened for many possible reasons and led us to discuss how buildings were built and lit during the 1800s. Barnum did exhibit real people who were “curiosities” but not in the way in which is shown in the movie. Yes, he did have a large mansion (and it burned). Yes, he went bankrupt (but it was either because of the loss of the businesses through fire and once it was because he was lied to by a company he was underwriting). Barnum gave many people and places a great deal of money; he was extremely generous. Yes, even amidst the hardships and trials, he kept on. These are just a few of the things we discussed and talked about based on the movie and these books. Have you seen the show? Did it spark discussions for your family? What were they? 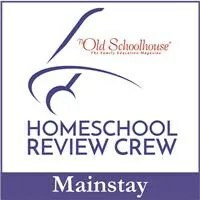 Linking up with the Homeschool Review Crew weekly link up. great job with finding answers to questions raised.